Monika Martinsson is co-founder of one of our new member companies SDG12. They are building a digital platform that automatically presents your climate footprint based on your consumption and lifestyle. Their mobile app will engage to reduce your footprint through guidance and challenges in a gameified format. Tailored offerings around sustainable products and services will be synced with your ambitions of carbon footprint reduction. You and your three co-founders are all in your mid forties and you have all had successful careers. Was it a tough decision for you to start SDG12? What was the reaction from colleagues, friends and family? To some extent it was of course a tough decision, especially seeing that the economic reality changes a lot. But in all the other aspects it’s was a very easy decision. When we felt that we were on to something good and that all four of us found different aspects of the same idea really interesting – we got into a flow! And we’re still there actually, we have so much fun doing this. All four of us enjoy learning new stuff and we aren’t too afraid of being out of our comfort zones, so with that in mind this is just fun. The feed back from the people around us has been very positive – we have supporting friends! And you need that of course, in order to be brave. What are you doing right now and what is SDG12´s next step? Right now we are in a hectic design and development phase, trying out different ways of making an engaging and fun experience for our users. We’re dealing with such a serious topic, so the playfulness and cheerfulness is really important. We’re also building a solid content for the platform based on lastest research and also working with identifying partners and partner companies that are interested in what we are doing. We’re launching a beta version before summer, doing another capital raise during summer and aiming at releasing a version 1.0 towards the end of year. You joined SUP46 a few months ago. What´s your impression so far of SUP46? We are really happy to be here! It’s a fun place, a lot of things happen and there’s always someone you can learn from. We’ve been given many opportunities just by being here and we feel strongly that the business run by SUP46 is a vital success factor for start-ups such as ours. Isabelle Nyroth is working as Drone Operations Expert for our member company Spotscale from Linköping. She’s helping drone pilots use Spotscale to capture optimal imagery for reconstructing built environments in 3D. Isabelle is only 24 years old and already one of the most experienced drone experts in the world. How did you get into drones and how did you come in contact with Spotscale? Drones have been a part of my life for over 20 years as I grew up into a drone family around Europe and the United States. I started flying professionally in 2014 after completing an online education, then moved on to an internship and a full time job as a drone operator in the US. The road that led me to Spotscale has been unpaved and spontaneous with projects and operations worldwide from everything between small commercial drones to larger tactical drones. I bumped into Ludvig Emgård, CEO of Spotscale, at a drone conference in Sweden in 2015 and since then we have stayed in touch to help each other move forward in the drone industry. What is Spotscale doing and what is your role in the company? Spotscale has created a unique software of top-class to deliver 3D models to clients all around the world working with built environments. With grand expertise and highly skilled engineers, Spotscale is able to create simplified solutions for an industry in high demand for 3D models. It’s a fusion of technology where I am currently the middle-woman to connect drone operators with the right technology for their clients. My role is to be the link between Spotscale and the evolving drone world, and together understand what it is we need to do in order to keep the industry moving in the right direction. You are living in Vienna. How did you end you end up there? Are you working all over the world? Vienna has been a longtime favourite city of mine for nearly a decade, I have moved to and from Vienna five times and always find myself coming back one way or another. While Austria may be a small country, it is a key location in the heart of Europe with several drone companies on the uprise. It’s a great location as headquarters while I’m expanding my European drone network and traveling around the World to continue my pursuit of keeping up with the industry. Are there any new trends within the drone world? As with everything in technology, it is constantly being upgraded and updated. This also applies for new trends within the drone world since there are always new applications in the making. Currently we see the use of drones as tools in agriculture, architecture, and inspections of infrastructure as a rising trend. It’s not always about the drone, but what is attached to the drone that matters. The payload is key to collecting data, thus giving the drone a purpose and potential for new innovative applications. The SUP46 members represent 45 different nationalities. Mladen, from our member company Worldfavor is one of them coming from Serbia. He came to Sweden 2,5 years ago to study at KTH in Stockholm. After his studies, he was recruited by Worldfavor. Worldfavor is a global digital platform and Software as a Service that makes it simple and efficient to access and share sustainability information and manage sustainability performance for companies. Their aim is to make all corporate sustainability information easily accessible for anyone in the cloud, enabling informed decisions and sustainable growth. A lot of startups are looking for talents outside Sweden since it´s difficult to find certain talents here. Getting a work permit in Sweden for people outside EU often takes a long time and many people give up before they get the permit. Here´s Mladens story on how he finally got his work permit. How did you end up in Sweden? Mladen: Even before high school I knew I wanted to work with software development and design. After doing my Bachelors in Computer Science, I wanted to apply for a Master’s program where I could learn and get experience within designing user interface, user experience and software interactions. My heart and all the Internet search results led to KTH Royal Institute of Technology in Stockholm. After getting accepted to the Human-computer Interaction programme I came to Stockholm in August 2014. It was the first time I came to Sweden as a Master’s student, not knowing almost anyone, experiencing new lifestyle, culture and university. Was your plan to go back to Serbia after your studies or did you plan to get a job in Sweden all along? Mladen: My plan was to get a job in Sweden even thought I love my home country. The more time I spend in Sweden, the more I realize how many different opportunities this country can offer. I did my Master thesis in a large corporate where I got my first full-time employment offer. However, the position was not exactly what I was looking for. Also, I wanted to have a more dynamic work environment and atmosphere, for which I would look forward to, every day. I started looking at the startup community and visited SUP46´s and Stings´ “Join a Tech-startup” event. I didn’t meet Worldfavor that day but they heard about me and one day I received an e-mail from them, asking if I would be interested to work as their Front-end developer. I arranged a meeting with them already the next day. After meeting the team and getting to know more about the company and their business idea I felt that I really wanted to join Worldfavor. I got the position and eight months later, I am still very happy for my decision to join them! Working in a start-up environment is just what I needed and wanted. Also, I like working at SUP46, where we have our office, is a wonderful place to network and gain experience. You waited for your Swedish work permit for 8 months. Do you know why you had to wait that long? Mladen: As I am not the citizen of EU, I need to have a residence/work permit to live and work in Sweden. Knowing that Sweden is technologically advanced I expected to obtain the permit in a short notice, especially since I had already lived and studied in Sweden for a few years. However, despite having all the necessary documents that the Migration Agency (Migrationsverket) required, I thought: “OK, they are going to accept me very fast, but no”. At the time when I had to apply, there were a lot of refugees coming to Sweden, requesting for asylum from, guess where, no other place than the same Migration Agency. As authorities said from Migration Agency, my work permit application was placed in a very long queue among other people, and I suppose also refugees. This queue lasted for 8 months. Meanwhile, I was not allowed to travel anywhere outside of Sweden! That was my first time, that I haven’t been home in Serbia for New Year’s Eve, Christmas and Serbian New Year’s Eve with my family and friends. At the end of March 2017 I finally got my residence/work permit approved. I couldn’t be happier (I even threw a party that day at my place). Now finally I can do some travelling again! The permit is valid for 2 years, and yes, it is valid from the day I applied, meaning that I have 1 year and 4 months left to go wherever I want, until I must apply for a new permit again at the end of 2018. SUP46, together with other startups and organisations like Stockholm Chamber of Commerce are trying to convince Swedish politicians the need of a special queue at the Migration Agency for work permits so they can be handled fast and efficient. Our Swedish startups needs the best talents the world can offer so they can grow fast and become stronger. We want Sweden to become the most startup friendly country in the world. Read more about the Startupmanifesto. One of SUP46´s goals for 2017 is to get more members outside Stockholm. Sportswik is one of our current members from Umeå. We have asked Sportswiks CEO, Martin Wiklund, a few questions about their membership. Sportswik is a niche social media for sports coverage. They want to democratize sports coverage by enabling every team at any age or level to shoot pictures, videos and live report goals and game events with a few simple touches on their smartphones. Their content engine algorithms analyse the content and automatically sets pictures, headlines, leads etc. to make it look like the coverage of a top-level game. How did you find out about SUP46 and why did you apply for a membership? We found out about SUP46 from our board member Almi Invest. As an Umeå based startup we wanted to get access to the network of investors, partners and other startups around SUP46. Why do you think a SUP46 membership is good for tech startups outside Stockholm? Most other Swedish cities lack the network of companies and investors that exist in Stockholm. By being a member, still based in Umeå, we have been included in a community of other companies in the same phase as us, and a network of big companies and investors that would have taken much more time and effort to build without SUP46. What has been the best thing with the SUP46-membership? To learn from and get connected to other companies in the network! This has helped us to gain knew knowledge, open doors, and avoid mistakes. October 2016 SUP46 launched the open digital platform TheHub together with Danske Bank. The aim is to give visibility to all Swedish startups, thus assisting them with recruiting talent, finding and contacting investors and also by offering best practice tools and templates for documents that all startups need. 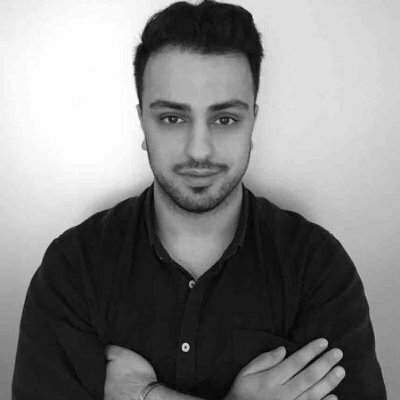 Read more about The Hub and Project Manager Arish Karadaghi below. Last winter I was writing my thesis in Uppsala and working with some projects at Entrepreneurs Academy, at the same time I started to travel between Uppsala-Stockholm daily because of an idea that my friend and I started to work on that also attracted great attention. We started to apply to some business competitions and we won the City of Stockholm Innovation Scholarship, and the Digital idea of the year by Universum & Schibsted Growth. I did a summer internship at Schibsted Growth and got the chance to work with the amazing Miriam Grut Norrby. She is also part of SUP46 Advisory Board so through her I got in contact with Petra and Jessica. I used to go to some events at SUP46 and I knew people working there already but the opportunity to work in the team and learn one or two things from Jessica tempted me. They were already searching for a project manager for the Hub and I liked the concept so two interviews later I got the position. What do you do at SUP46? I’m project manager of the Hub and working with growing the Swedish platform to establish an overview of tech startups in Sweden – our goal is to help startup companies with their recruitment of new employees, funding, and offering best practice tools (i.e. legal documents). Most of my daily work goes to screening and publishing new startup profiles, job ads, job applicants, investor profiles and matching potential advisors & angel investors with the founders. I’m also sourcing new companies and open job positions in the startup community, helping these companies get visibility to talents by targeting the right social media channels. I’m basically trying to create a digital community for startups but also so future entrepreneurs have a “go-to-place,” The Hub – it’s totally free for everyone! Since the Hub also exists in the other Nordic countries, we have weekly talks amongst us country managers as well, making it a Nordic thing. We see thehub.se as a further extension of the SUP46 open workplace by the Startup Café and our desire to have member companies in other Swedish cities as well so thehub.se is helping startups that are in various stages. If you have a tech startup (no matter if you are currently recruiting or not) sign up and create your profile. If you are looking to join a startup, apply to over 140 jobs right now. Life is short! I love to work with the team and that I’m surrounded in an office by people from all over the world with different experiences and perspectives – It’s a very sharp and enthusiastic ecosystem. It’s exciting to be part of the Swedish startup community but above all it’s very fulfilling to be there supporting the most passionate, driven and intelligent people – the entrepreneurs. We work hard every day to help them reach the next level! If you were starting your own scalable business tomorrow, what would it be? The Hub feels a bit like my own startup, except having a boss and other parties involved! I’m still working with my own idea but more at night and on weekends. If I could, starting tomorrow, I would go all in day and night to re-invent driver learning with technology. I’m also a passionate football fanatic so mixing technology with the modern football industry is also something that is catching my attention. 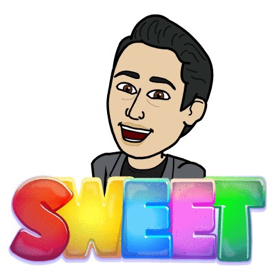 What is SUP46 to you in one bitmoji?